We at Sepicat are at your disposal to provide you with guidance regarding choosing the best cat litter for your needs as well as to answer any questions you may have concerning cat hygiene and care. 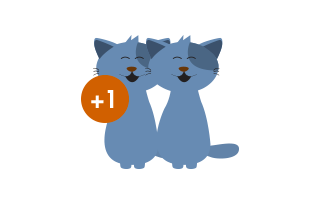 We not only work manufacturing the finest products but also want to provide you with all possible information by making our frequently asked questions section on the care of our kitties available to you. We open our doors to guiding you concerning everything having to do with the world of cats: we enjoy them as much as you do, and by remembering some simple steps, we can save ourselves a lot of time and avoid possible inconveniences. We always encourage you to take up your cases with a trusted specialist. Don’t hesitate to ask your veterinarian when any problem arises. Whether you are an expert in the world of felines or if you have just added a kitten to your family, we know that they don’t always make things easy for us, and that’s why we are sharing our experience and advice with you so that you can enjoy your life with them to the utmost. All they need is love and care, but we at Sepicat encourage you to teach and train your cat so that living together will be perfect! Are you going to add a new kitten to your family? If you are thinking about adding a new member to your family, you’ll have to take some steps beforehand. First, make certain that the other members of the family are going to be welcoming the kitty with open arms. You must take into account any possible allergies, work schedules and even if the choice is compatible with your household. You must check with your landlord if you are renting and even have a plan B for when vacation time comes. Who should I ask if I have some problem? 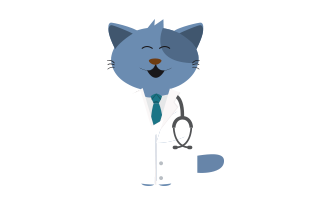 We at Sepicat recommend that you choose a good veterinarian with experience in cat care. Make certain that their office is near your home so that it will be convenient for you to go and see the veterinarian at any time. Your cat’s health is very important, so regular office appointments will have to be scheduled to keep your cat healthy and happy. What steps should I follow to take care of my kitty’s grooming? Although our feline friends have a reputation for being “independent”, cats enjoy being petted and groomed. 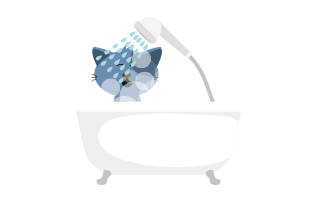 The best thing you can do to take care of them is to set up a care routine including cleaning and brushing. The ideal thing to do is to get them used to this from the time when they are very small and to reward them after each grooming session so that they will associate it with being a pleasant time. Make a game out of it!